The CEO of the Marin City Health and Wellness Center is a woman of many talents and, seemingly, endless energy. THE ADDRESS OF the Marin City Health and Wellness Center is 630 Drake Avenue in Marin City. But the best way to find the place is to look for a jam-packed parking lot. Behind that parking lot is a singlestory shingled building that looks a tad tired. But on the inside, the place is full of energy. Phones are ringing, keyboards are clicking and folks of all ages, sizes and colors are asking for assistance. And quickly receiving it. Within a crowded waiting room, a middleaged man in work clothes is checking in for his dental appointment; a kid in soccer shorts is about to get a sports physical; and a soon-to-be-mom is there for her prenatal care consultation. The Marin City Health and Wellness Center is a FQHC, a federally qualified health center, whose mission is “to provide primary medical, dental and behavioral health care to patients living in Southern Marin and San Francisco.” Last year, more than 3,400 patients availed themselves of the center’s services in almost 11,300 visits. In addition to support from the federal government, the Health and Wellness Center receives help from dozens of individual Marin philanthropists, as well as the Marin Community Foundation, Marin General Hospital, Marin Housing Authority, Blue Shield of California, Good Earth and Whole Foods. It was also the only beneficiary this year of a county grant aimed at treating opioid addiction. The center, with 44 employees, operates on an annual budget of just over $5 million. And in the middle of it all is CEO JayVon Muhammad, an exuberant 44-year-old mother of three and grandmother of three more, who oversees the entire operation. Currently, Muhammad lives in San Pablo but is determined to someday move to Mill Valley. Can you tell us about your childhood, early years and current family arrangement? My mother was a drug addict for most of my life; she’s been clean now for about six years. And my father was a drug dealer. But that’s not as strange as it may sound; in the neighborhood where I grew up, most folks were involved with drugs. In the 1980s, crack cocaine is what devastated most [such] neighborhoods, and Hunters Point, where I spent many of my teen years, was no exception. When I was born, all my family lived in the Fillmore, but when that got gentrified some of my family moved out to the East Bay, some to Sacramento, and my immediate family moved to Hunters Point. I have 11 sisters. They’re really half sisters: we all grew up together and knew each other very well, so we’re really like “sister sisters”; we just didn’t share the same mother. I also had three brothers, but one was murdered, so now it’s just the two brothers. Both my mom and dad are still alive and so are all my sisters; it’s just that we’re scattered between here and Sacramento, and we’re hoping to change that. So, it’s been a journey and it still is a journey. What type of education did you receive? I was not made to feel like a mother, or a parent. So when I grew older and became a parent and was looking for ways to give back, I decided to become a foster parent to young mothers. I didn’t want other girls to go through their pregnancy like I did. At first, they said I couldn’t because I was too close in age to the girls who’d be living with me. Then they gave me two psychological assessments and I passed them both and, when I was 21, I had one of only two foster homes in San Francisco for teenage girls who were pregnant. Three girls at a time were living with me until I got married; then it was two girls. By the way, I selected my second husband very discreetly. I knew I did not want to live the way I’d grown up; I knew exactly what I did not want and what I could tolerate. It was always on my mind that things had to change. My husband and I have now been married 21 years and, in addition to my daughter, who has given me three grandchildren, we have a wonderful son who’s 18 and a beautiful daughter who’s 19. As for foster children, in all, I helped 20 girls through their pregnancies and several of us, children included, are still really close; we often chat on Facebook. So you could say I learned a lot about health and wellness in those years. How did you acquire the leadership and management skills to be CEO of a $5 million, multitasked organization that employs 44 people? I think part of it comes from growing up with challenges, like the challenge of poverty and lots of other challenges. I’ve always had a desire in my gut to do better. And, I want to create something better for poor people. All my life I’ve wanted to help poor people, create something better for them. But not just poor people; I want something better for all people. Here at work, I try to create a space for each of our employees that makes them healthy and happy, where they can be themselves and not have some rigid environment where a person is standing over them telling them what to do and how to do it. That’s how they can do their best to help other people. I’ve been the CEO at the Health and Wellness Center for three years, but before that I had a year in management with Sutter Health and, before that, in community relations with the Allen Group, which provided community relations services for the Third Street Muni light-rail project in San Francisco. Not having an advanced college degree has never held me back, because I won’t let it. And I don’t want to go back and get an advanced college degree. I’m not spending another dime to be what I already am, I just want to be a greater version of who I am — and I’ll get that by working with others. I learn from everyone. I choose people to work with us because of their passion; if they have leadership skills too, I can train them to do their job. I don’t care if they have a college degree; if a person has the skills required for the positions, has a good interview and passes a background check, I hire that person, and then I force [that person] to lead. Personally, I have a good work ethic. I’ll show up sometimes when nobody else does and I will stay late until the job is done. I probably work 12 hours a day and can get by with four hours of sleep. And I love my work; it’s who I am. What are your goals for the Marin City Health and Wellness Center? I think the Marin City Health and Wellness Center can grow into a life-changing clinic. In Marin City, if we have enough time, we will create a clinic that not only improves people’s lives through medical doctors, but also improves their economic health. Think about it: economic health is really what makes people healthy. And [the lack of] that’s what communities like Marin City suffer from. It’s so simple. People with financial resources eat better; they have better schools and parks because they have more tax money. So that’s what I want: I want to see the Health and Wellness Center grow into a life-changing clinic, where people become not only medically healthy, but also economically healthy. The Health and Wellness Center has opened the Marin Family Birth Center. Please tell us about that. It’s in San Rafael, on Las Gallinas near the Northgate mall. We’re very excited about it, but it has been very costly to build; we saved up before starting to build it out, and it will be costly to operate, but worth it. It’s an alternative birth center that offers the care and support of midwives, doulas, childbirth educators and lactation counselors. This will be Marin’s first licensed freestanding birth center; it creates an opportunity for families to deliver their babies in a homelike environment. You are also a midwife. How many babies have you delivered? Maybe 300; I haven’t really kept count. I was a volunteer midwife in Albania during the war in Kosovo; then I worked a little in Jamaica and I went to medical school in Mexico and to midwifery school in Canada. All the while I was “catching babies.” That’s what I call being a midwife, catching babies. And I got my license to be a midwife after three years of apprenticeship and two additional years of academic schooling at the National College of Midwifery in Taos, New Mexico. Midwifery means “being with woman,” but men can be midwifes too. A man midwifed my second child. Are all midwifed births natural? It depends on what we consider natural. Midwives are able to work within many hospitals, but out-ofhospital births are different. Different doesn’t mean it’s more painful. In fact, I believe it can hurt more when a mother is lying on her back in a hospital bed and pushing against gravity trying to get the baby under a curve and out. A mother working with a midwife decides how she wants to have her baby delivered. A lot of mothers choose the most comfortable way, and for many that means while squatting. That way they’re working with gravity, not against it. Many midwifed babies are delivered in water. There are two midwives present at every midwifed birth and emergencies are rare. That’s because you the mother must qualify by being healthy (what we call “low-risk”) before you can have your baby with a midwife. Because of my job as the CEO, I haven’t caught a baby in two years. But last week I helped out when my daughter gave birth to my grandbaby at Kaiser Hospital. The baby wasn’t coming out right, so I told my daughter to get up on her hands and knees; she did, and everything went fine. But it was crazy for a while because my daughter is deaf and we had to work through a sign language interpreter who was a 20-year-old boy who’d never experienced childbirth. So for a few minutes, it was really crazy. But, like I said, everything turned out fine. What else do you have going on this summer? They’ll hopefully learn two things in those last two stops: one, how to respectfully ask questions, and two, that black people aren’t the only ones who are poor. We select the kids who are struggling the most to go on the trip, and they can’t bring their cellphones — we provide a phone so they can call home when they want to. Last year we toured Harvard; this year it will be Spellman and Morehouse colleges in Atlanta, Georgia. And we work with the kids while they’re in the van. Like, we list the “Things You Can’t Say Anymore.” They can’t say they don’t understand business, because we toured a business in Detroit; they can’t say they can’t go to college, because in Atlanta they met college students just like them, only a few years older. We’ll stay in homes and churches; the Christ Episcopal Church in Sausalito has been so helpful in arranging places for the kids to stay. Once in a while we’ll stay in a motel. Each child is asked to bring money, and when that can’t happen we quietly slip them a few dollars. The trip costs about $100 a day for each child and we raise that from Marin businesses and individual donors. We say Quality of Life Road Trip involves 26 cities, two countries, 32 days and 18 changed lives. And it does; it really changes lives — I’ve seen it happen. In 1977, a Rolling Stone magazine article written by Carl Bernstein alleged that over 400 mainstream media journalists were employed by the CIA to parrot their disinformation. He also claimed that one of the most important journalists contracted by Operation Mockingbird was Joseph Alsop (top), who wrote for over 300 different newspapers. 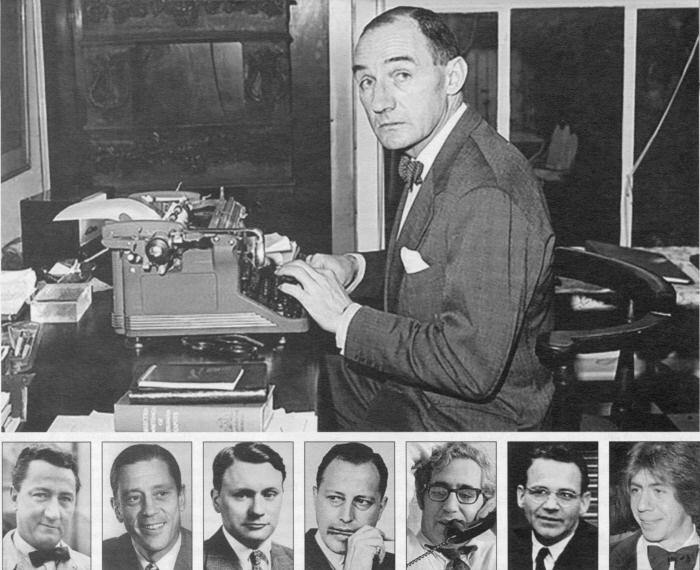 Other journalists implicated by the investigation in promoting the tales of the CIA – true or false – were (pictured above, left to right): Stewart Alsop (NewYork HeraldTribune), Ben Bradlee (Newsweek), James Reston (The New York Times), Charles Douglas Jackson (Time), Walter Pincus (Washington Post) and Charles Bartlett (Chattanooga Times). At far right is Carl Bernstein, pictured about the time of his Rolling Stone expose. According to Bernstein and other investigators, the CIA worked closely with CBS, Time magazine, The New York Times, ABC, NBC, the Associated Press, United Press International, Reuters, Hearst Newspapers, Newsweek magazine, The Miami Herald, and many other media outlets in America and abroad. In many cases, the CIA’s involvement and collaboration with major American media outlets was done with the full knowledge, consent and complicity of the management of these corporations. The CIA’s primary purpose in infiltrating and collaborating with the major mass media outlets in America was twofold: to gather and assess information gleaned from its many contacts, operatives and sources in the mass media and to spread information (or misinformation) that ostensibly advanced American national interests, at least as perceived by the forces of the Deep State. Suffice it to say, the CIA and other Deep State actors had successfully infiltrated the major American media outlets, establishing a base of operations in which information could be gathered and spread to advance the agency’s clandestine agenda. “The CIA owns everyone of any significance in the major media,” William Colby, who served as director of the CIA from 1973 to 1976, once remarked. And although the extent of the CIAs involvement with and infiltration of major American media outlets was not entirely revealed, the fact the agency engaged in these type of operations was becoming clear and well established. The burden on families and care takers is/will be overwhelming going forward, maybe this is why driverless cars will be such a hit. Our family just lost a loved one at 68 years young with a new type of frontal lobe dementia. 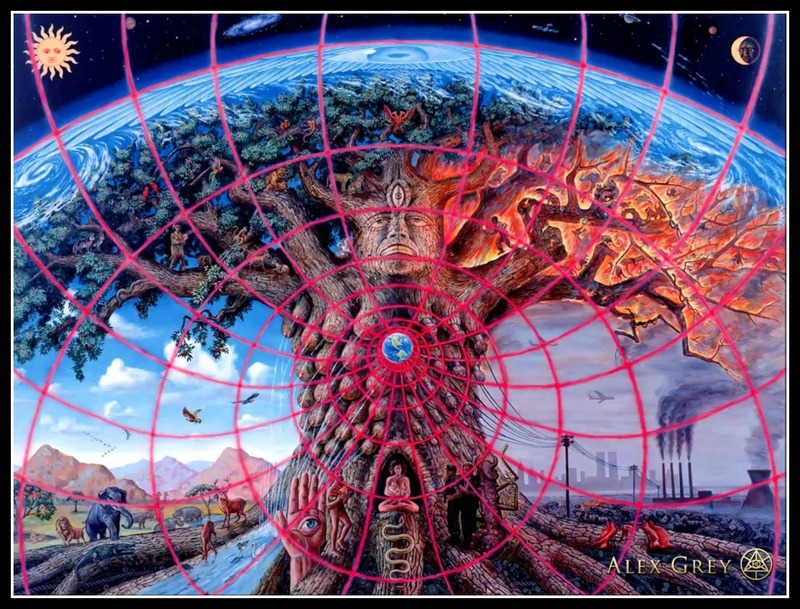 Our toxic world by endless consumption and non-consequence living as well as humanities avarice are to blame. The rate of deaths from Alzheimer’s disease increased 55% between 1999 and 2014, according to CDC data recently published in MMWR. The same data indicated the number of deaths at home attributable to the disease also increased from 14% to 25% during the same time period. According to the CDC, this is the first study to provide county-level rates for deaths caused by Alzheimer’s disease. 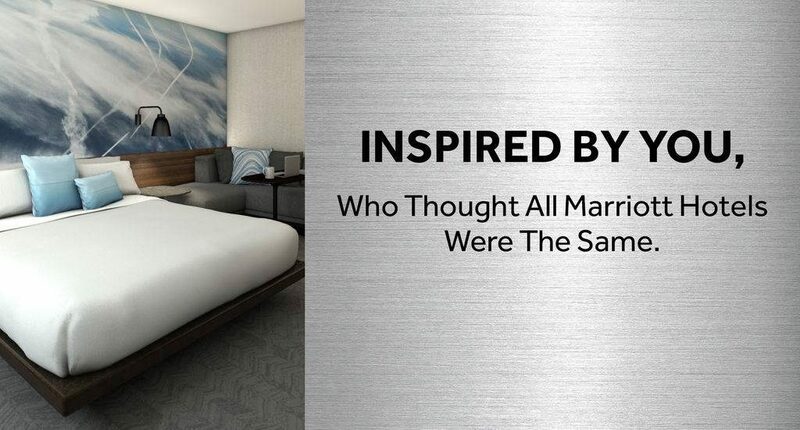 Chemtrails as “art” How sick can we get??? A team led by Christopher A. Taylor, PhD, of the CDC’s division of scientific education and professional development, determined mortality rates using population estimates produced by the U.S. Census Bureau in collaboration with CDC’s National Center for Health Statistics. Age-adjusted mortality rates were calculated using the 2000 U.S. standard population. Researchers used joinpoint regression to test the significance of trends in age-specific rates from 1999 to 2014. •only one state, Maine, had a significant decrease in age-adjusted Alzheimer’s disease deaths. Researchers suggested that their findings indicate caregivers need greater support to care for patients with the disease. Previous CDC data show that Alzheimer’s disease is the most common cause of dementia, affecting an estimated 5.5 million adults in the United States and is expected to affect 13.8 million U. S. adults aged 65 years and older by 2050. Disclosure: Healio Family Medicine was unable to determine researchers’ relevant financial disclosures prior to publication. An 11-year-old “cyber ninja” stunned an audience of security experts Tuesday by hacking into their Bluetooth devices to manipulate a teddy bear and show how interconnected smart toys “can be weaponised”. American wunderkind Reuben Paul, may be still only in 6th grade at his school in Austin, Texas, but he and his teddy bear Bob wowed hundreds at a timely cyber security conference in The Netherlands. “From airplanes to automobiles, from smart phones to smart homes, anything or any toy can be part of the” Internet of Things (IOT),” he said, a small figure pacing the huge stage at the World Forum in The Hague. To demonstrate, he deployed his cuddly bear, which connects to the iCloud via WiFi and Bluetooth smart technology to receive and transmit messages. Plugging into his laptop a rogue device known as a “raspberry pi” — a small credit card size computer — Reuben scanned the hall for available Bluetooth devices, and to everyone’s amazement including his own suddenly downloaded dozens of numbers including some of top officials. Then using a computer language programme, called Python, he hacked into his bear via one of the numbers to turn on one of its lights and record a message from the audience. “Most internet-connected things have a blue-tooth functionality … I basically showed how I could connect to it, and send commands to it, by recording audio and playing the light,” he told AFP later. They can be used to steal private information such as passwords, as remote surveillance to spy on kids, or employ a GPS to find out where a person is. More chillingly, a toy could say “meet me at this location and I will pick you up,” Reuben said. His father, information technology expert Mano Paul, told how aged about six Reuben had revealed his early IT skills correcting him during a business call. Using a simple explanation from dad on how one smart phone game worked, Reuben then figured out it was the same kind of algorithm behind the popular video game Angry Birds. “He has always surprised us. Every moment when we teach him something he’s usually the one who ends up teaching us,” Mano Paul told AFP. But Paul said he been “shocked” by the vulnerabilities discovered in kids toys, after Reuben first hacked a toy car, before moving onto more complicated things. Now the family has helped Reuben, who is also the youngest American to have become a Shaolin Kung Fu black belt, to set up his CyberShaolin non-profit organisation. Its aim is “to inform kids and adults about the dangers of cyber insecurity,” Reuben said, adding he also wants to press home the message that manufacturers, security researchers and the government have to work together. Reuben also has ambitious plans for the future, aiming to study cyber security at either CalTech or MIT universities and then use his skills for good. Failing that maybe he could become an Olympian in gymnastics — another sport he excels in.